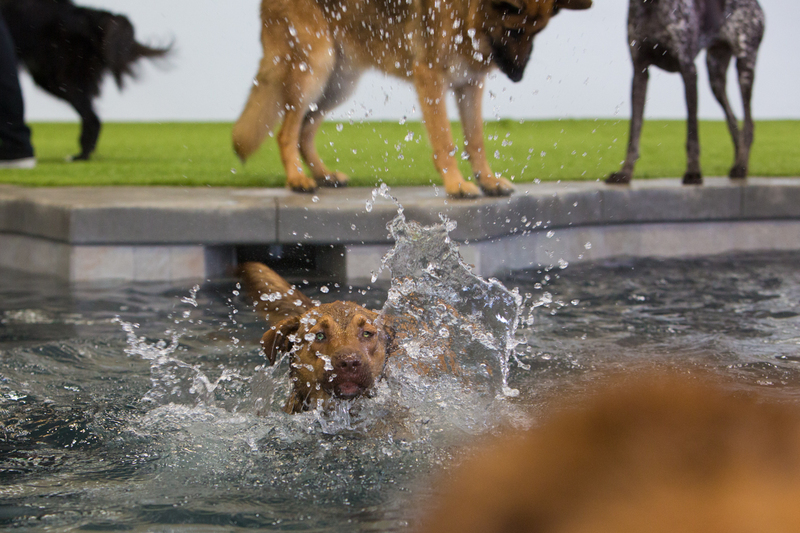 Unleashed created a way for the owners to enjoy our state of the art facility WITH their dogs. It’s a great way to get your dog the exercise it needs during cold winter months or simply because you don’t have a yard of your own with the amenities we offer here at Unleashed. Whatever the case may be, we love opening our park doors to owners and their dogs to share in the fun. Open Park: The price of the admission to our park is $6 per dog and we require you to stay with your dogs in the park. If they are left without supervision, they will be checked into daycare. 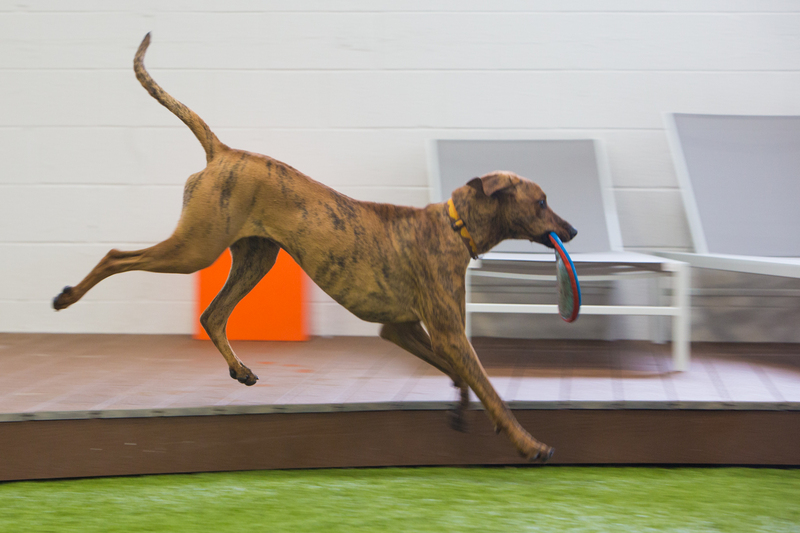 Prior to enjoying our indoor park, we require that your dog spend at least 1/2 day of daycare with us so we can get to know your dog to ensure it’s temperament is safe for the people and other dogs enjoying the park. We typically open the park on evenings and weekends when trainings or private groups aren’t scheduled, so please check our calendar for open park dates. Also, we only allow up to 20 dogs in the park at a time, so please call in advance to check availability. Private Park: The park is available to rent out for private groups for $100 for two hours (up to 20 dogs). We do not require the dogs to be temperament tested or spend ½ day of daycare with us, but we must have all vaccination paperwork prior to each dog entering the park.